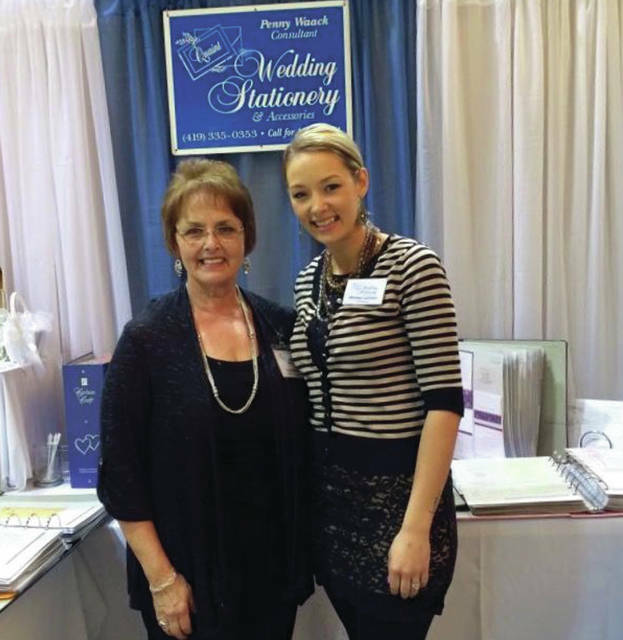 Penny Waack, owner of Quaint Wedding Stationary & Accessories, with daughter Whitney Lavinder. Quaint Wedding Stationery & Accessories owned by Penny Waack was recently announced a 2019 winner of the WeddingWire Couples’ Choice Awards in Wauseon. WeddingWire, Inc., a leading global online wedding marketplace, annually celebrates the top wedding professionals on WeddingWire across more than 20 service categories, from venuesand caterers to florists, photographers and Invitation specialists. Quaint Wedding Stationery & Accessories received this esteemed award based on their outstanding experience working with real newlyweds. WeddingWire features more than three million reviews, and this notable vendor received prompt, reliable, and quality feedback. Not only are these hard- working and distinguished wedding professionals, such as Quaint Wedding Stationery & Accessories, a fundamental part of the wedding planning process for engaged couples, but they help make WeddingWire a trusted source for wedding planning,” Timothy Chi, CEO,WeddingWire. “I am thankful for the wonderful reviews left by our clients that helped us win this prestigious award the past several consecutive years” said Waack, who has been an invitation consultant for over 40 years. For more information about Quaint Wedding Stationery & Accessories, visit www.quaintweddingstationery.com.